Sun’s out, trunks out. That’s right, it’s the season for SPF, weird tan lines and cannonballs straight into a pool, ocean or lake—whatever your preferred body of water is. You’re hearing it here first, we’re officially launching swimwear for Stitch Fix Men, so get ready to tell your Stylist where you’re headed and how many cannonballs you plan on doing. Read on to learn more about swimwear at Stitch Fix! We’re excited to partner with the following brands to bring you the best fitting swim trunks delivered straight to your door. Don’t believe us? See who we’re working with. Whether you like to take the European route when it comes to trunk length or if you’re a fan of covering up, we’ve got you in inseams ranging from 5.5” to 11”. Per usual, we’ll have swimwear in sizes XS to XXL and 28 to 42. Like to keep it classic with a polo and boat shoes? Okay, we got you. 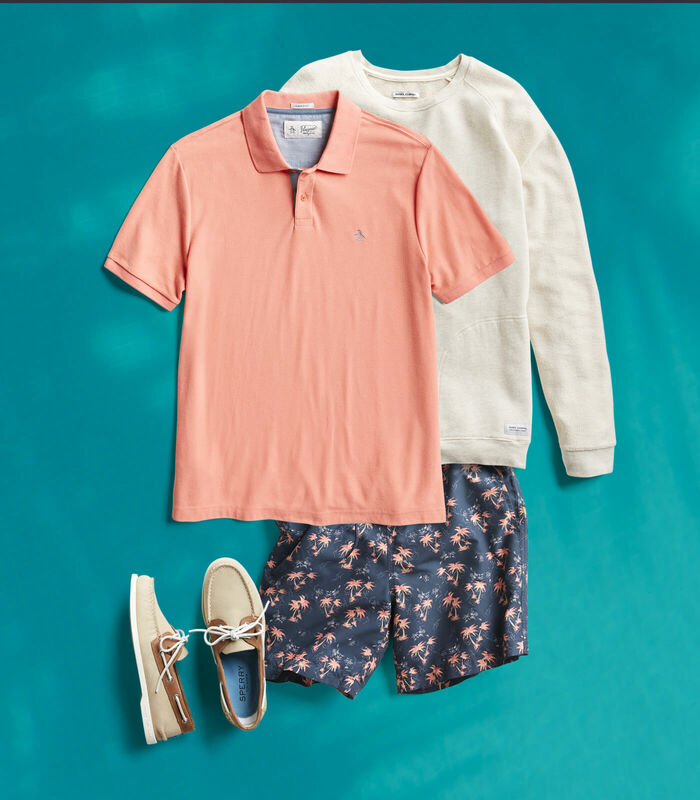 Layer a polo under a soft, pullover sweater and pair it with coordinating print swim trunks. Are hoodies your thing? 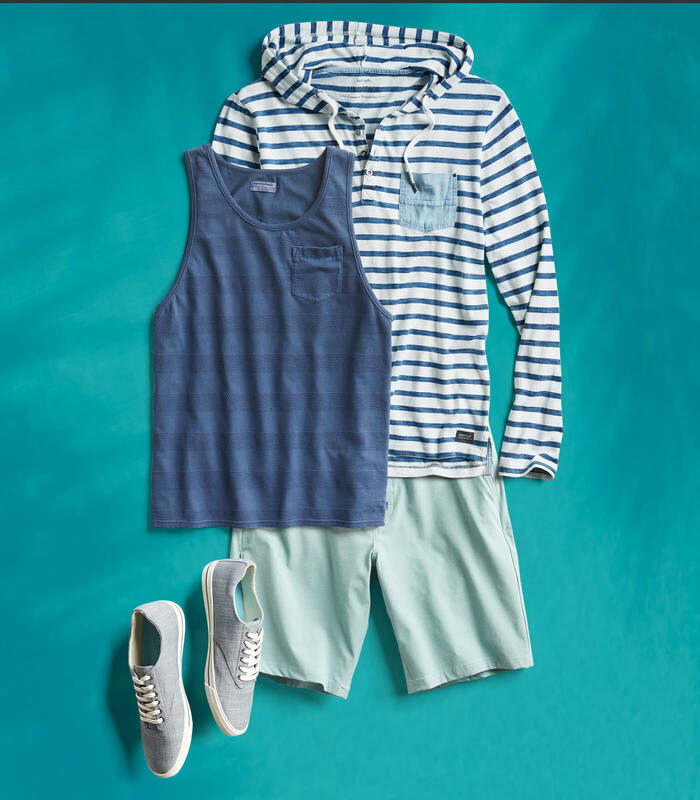 Pair a tank or t-shirt with a pair of swim trunks and canvas sneakers. If you didn’t guess it already, we approve of wearing swim trunks out for a walk in the park (or the sidewalk). You’re one funghi fun guy! 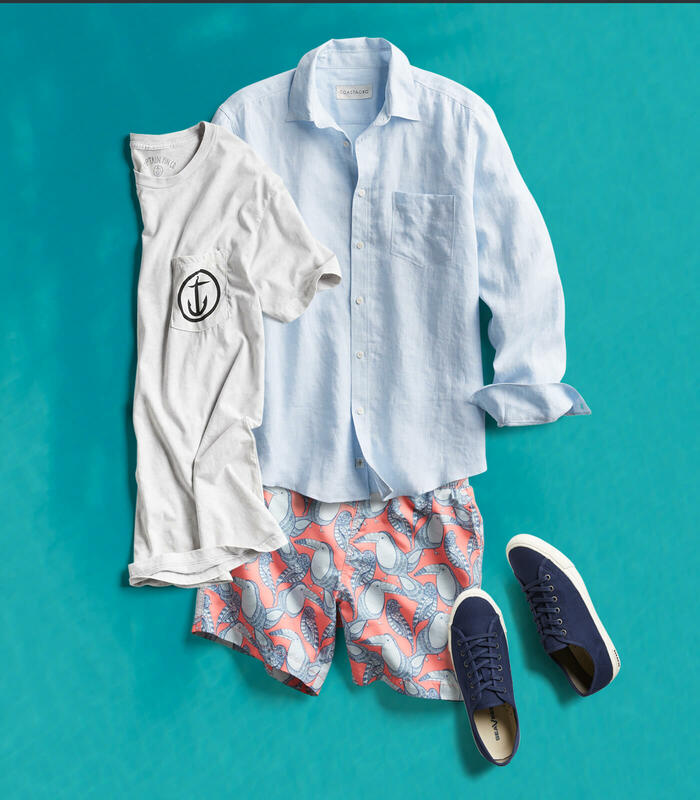 Try mixing a graphic tee with printed swim trunks for an eye-catching way to soak up some rays. If you’re feeling shy, layer over a button-up. Ready to dive in? 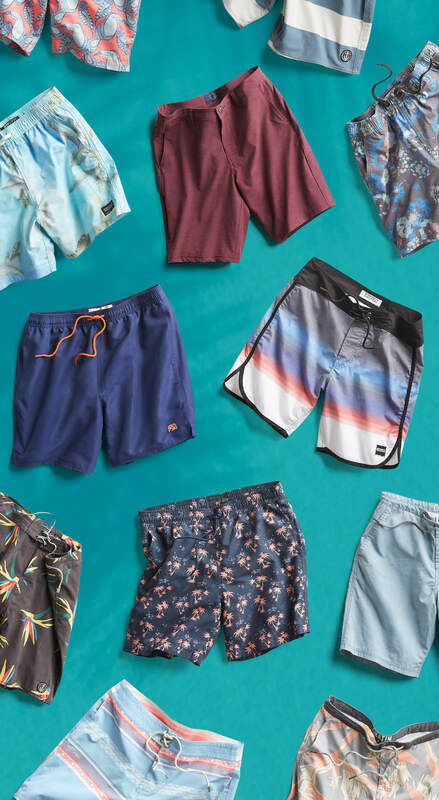 Tell your Stylist you’d like a pair of swim trunks in your next Fix.